The Vyne was created by Keesha Boyd and Kailei Richardson, best friends and business partners (Stone 109, LLC) who are passionate about uplifting and celebrating the successes of modern women of color. They are creating a variety of media products, including a weekly e-magazine (The Vyne Weekly) catered to the needs and interests of Black women. Keesha has a BA from Emory University and both an MA and MEd from Teachers College – Columbia University in Organizational Psychology and Counseling Psychology. In 2006, Keesha started Psychologically Speaking (http://psychologicallyspeaking.blogspot.com), an advice and op-editorial blog. 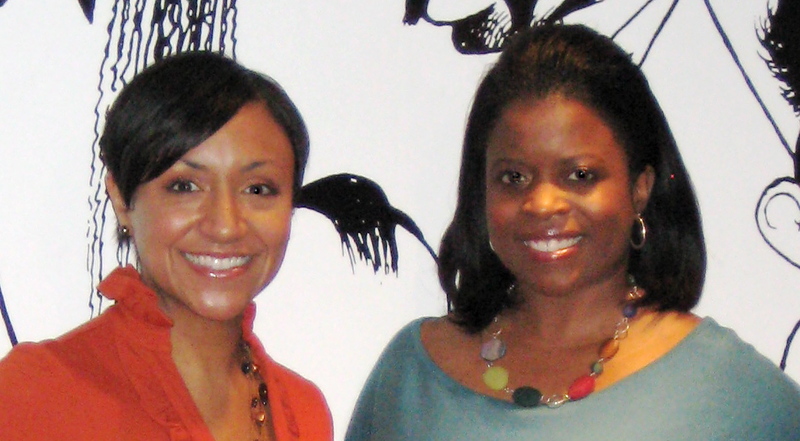 In 2008, Keesha started PeopleDriven, Inc., a consulting company focused on professional and personal development. Keesha has spent much of her professional career focused on understanding the vast dynamics of people in relationship to their work, personal life and others. In this capacity, she has had the opportunity to not only diagnose the impact of these dynamics but also design solutions to positively impact the people involved. Kailei has a BA from Emory University and an MBA from the Kellogg School of Management at Northwestern. In 2005, Kailei started Diva on a Dollar (www.divaonadollar.com), a blog targeting bargain shoppers. Kailei has a background in digital media and marketing and has conducted extensive research on media consumption habits of Black women. On a personal note, Kailei loves shopping, traveling, entertaining and good food. love the site Sis’s! I’m looking forward to what 2010 brings! Hey, just want to say hi. I’m new here. Thanks so much! Please continue to read and spread the word!